Chip Somodevilla/ Getty ImagesUS president Donald Trump with German Chancellor Angela Merkel at the White House in March 2017. President Donald Trump has made Europe think about whether it can rely on US for security. Some there aren’t so sure, and in Germany it has stoked debate about attaining a domestic nuclear deterrent. But on top of political and technical obstacles, Germany is treaty-bound not to develop nuclear arms. 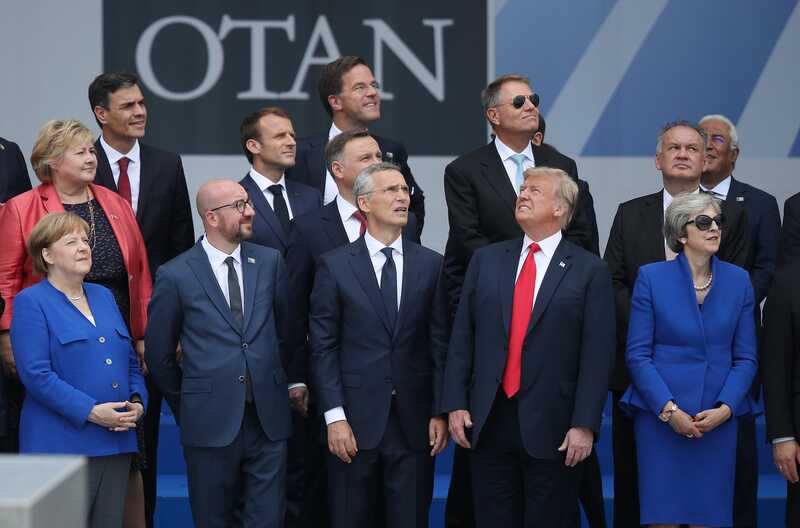 President Donald Trump’s relationship with Europe has been characterised by him attacking NATO for what he perceives as failures to meet the defence-spending goals alliance members have agreed to work toward. A consequence of this newly contentious relationship is more interest in Europe in domestic defence capacity. In Germany, that interest is going nuclear. At the end of July, prominent German political scientist Christian Hacke wrote an essay in Welt am Sonntag, one of the country’s largest Sunday newspapers, arguing Germany needed to respond to uncertainty about US commitment to defending European allies by developing its own nuclear capability. “For the first time since 1949, the Federal Republic of Germany is no longer under the U.S.’s nuclear umbrella,” Hacke argued, according to Politico Europe. “National defence on the basis of a nuclear deterrent must be given priority in light of new transatlantic uncertainties and potential confrontations,” Hacke said. Divergent interests among Germany’s neighbours made the prospect of a joint European response “illusory,” he added. Hacke is not the first in Germany to suggest longstanding ties with the US have fundamentally changed. Sean Gallup/Getty ImagesGerman Chancellor Angela Merkel, President Donald Trump, and other leaders the 2018 NATO Summit in Brussels, July 11, 2018. In June, German Foreign Minister Heiko Maas said Europeans “need a balanced partnership with the US … where we as Europeans act as a conscious counterweight when the US oversteps red lines.” Maas compared Trump’s “America First” policies to the policies of Russia and China. While concern about Trump is very real, Germany is treaty-bound not to develop nuclear weapons, and discussions of doing so are seen as little more than talk. “Germany developing nuclear military capability, a nuclear weapon, a nuclear deterrent, will never be in the cards ever,” said Jim Townsend, an adjunct senior fellow in the Transatlantic Security Program at the Center for a New American Security. 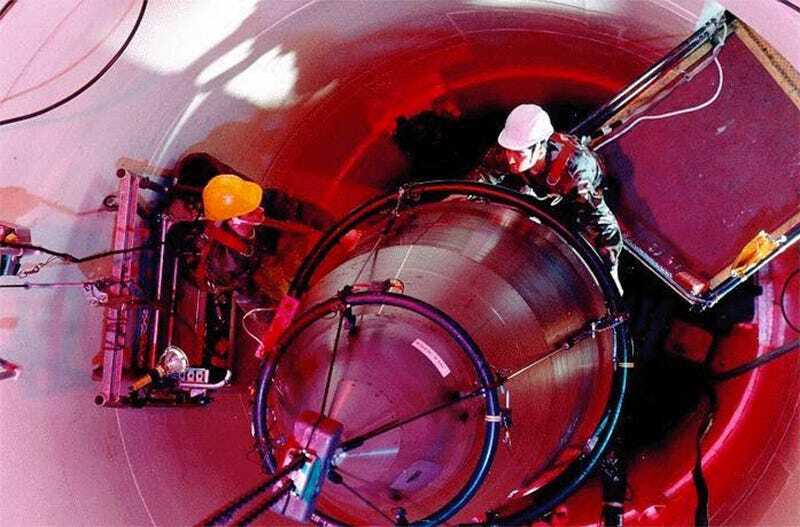 Department of Defence via Federation of American ScientistsA US LGM-30 Minuteman III intercontinental ballistic missile in a silo. Others in Germany were also dismissive. Wolfgang Ischinger, head of the Munich Security Conference and a former German ambassador to the US, argued that Germany’s pursuit of nuclear weapons would set an undersirable precedent. German plans to phase out nuclear energy likely preclude the development of nuclear weapons, Townsend said, and, as noted by Marcel Dirsus, a political scientist at the University of Kiel in Germany, politicians who can’t convince Germans to support spending 2% of GDP on defence are unlikely to win backing for nuclear weapons. This is not the first round of this debate. Not long after Trump’s election, European officials – including a German lawmaker who was foreign-policy spokesman for the governing party – suggested French and British nuclear arsenals could be repurposed to defend the rest of the continent under a joint command with common funding or defence doctrine. In mid-2017, a review commissioned by Germany’s parliament found Berlin could legally finance another European country’s nuclear weapons in return for protection. There have been suggestions that “what Europe should do is depend on the French, the French nuclear capability, and the Germans pay into that and thereby kind of fall under the French nuclear umbrella,” Townsend said. Townsend said the debate was unnecessary, given that its premise – the loss of US nuclear deterrence – was unfounded. But Trump has changed the way Europe thinks about its defence. Some welcome discussion of Germany acquiring nuclear capability, even if they don’t support it.